Transitioning to college life is rarely easy, and certain things inevitably make it more difficult. Navigating admission and course policies. Finding a community. Re-learning how to be a civilian. 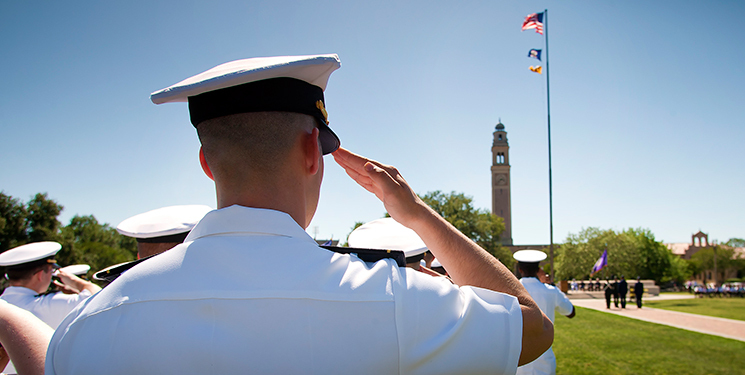 Enter the LSU Veteran & Military Student Services Center. Once the center opened, issues that typically took Herpin weeks to resolve were rectified within a day by the center’s coordinator. 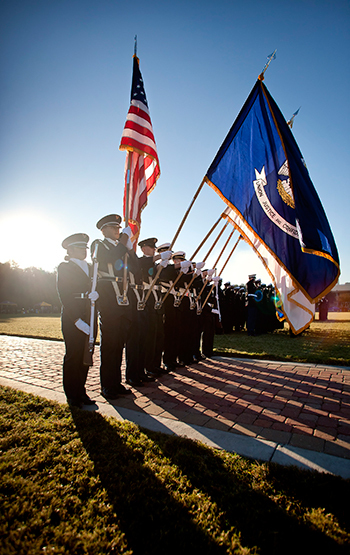 The benefits stemming from the Veteran & Military Student Services Center reach beyond LSU’s military population, though. Darrell Ray, assistant vice chancellor for student life, and Adam Jennings, coordinator of Veteran & Military Student Services, explain that the center provides an opportunity to connect the campus to its military foundation and educate the rest of LSU on the university’s role in shaping U.S. military history. The center supports 20-40 students each day through admissions assistance, outreach and support services that Jennings and five work-study participants provide. Jennings and Ray aim to build an endowment that will support an enhanced infrastructure and provide financial assistance to the veterans.